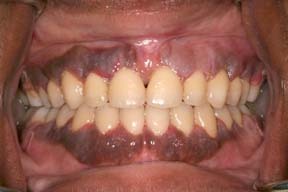 Soft tissue grafting is often necessary to combat gum recession. 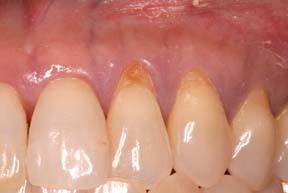 Periodontal disease, trauma, aging, over brushing, and poor tooth positioning are the leading causes of gum recession which can lead to tooth-root exposure in severe cases. You may have too little gum tissue, "long in the tooth" or too much gum tissue, "gummy smile" and these can be corrected by Drs. Dennis Nishimine, Dee Nishimine, & Sophia Tseng. Periodontist such as Drs. Dennis Nishimine, Dee Nishimine, & Sophia Tseng are considered "plastic surgeons" of the oral cavity. 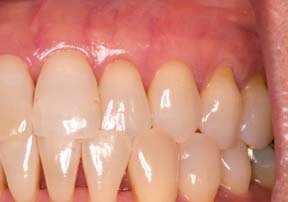 With proper grafting they can enhance your smile. 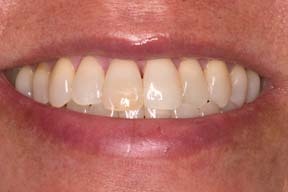 If you appear to be "long in the tooth" this can easily be treated with Connective Tissue Grafting and we can get root coverage in 98% of the case to create a BEAUTIFUL SMILE!!! 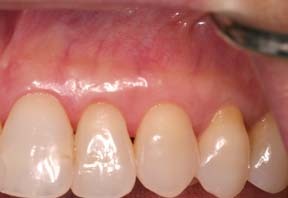 Free gingival graft – A strip of tissue is removed from the roof of the mouth and stitched to the grafting site in order to promote natural growth. This type of graft is most commonly used for thickening existing tissue. This will never be done in the aesthetic zone or smile zone. This a very durable and long lasting graft that is done in the back areas of your mouth. If you have a "gummy smile" or you teeth appear to look very small this can be enhanced with Aesthetic Crown Lengthening. 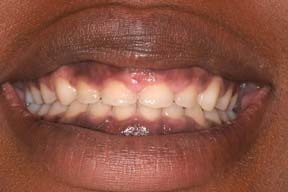 Some patients have excessive gum tissues caused by: heredity, seizure medications, mouth breathing, and other medical syndromes can easily be treated and we can enhance the smile. 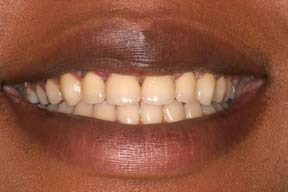 You can have normal looking teeth and a Beautiful Smile!! "Look at my smile NOW! My mouth looks so much better and it was very easy and I am very happy I had it done. It was easy and very comfortable." Initially, SRP's and OHI will be performed both above and below the gum line to clear the teeth and roots of calculus (tartar). The grafting procedure itself will generally be performed under local anesthetic, but this will depend on the size of the areas receiving grafts. A small incision will be made at the recipient site in order to create a small pocket. A split thickness incision is made in this pocket and the donor tissue is placed between the two sections of this area. The donor tissue strip is generally larger than the incision, so some excess will be apparent. This is a very successful and long lasting procedure. If you have any questions about soft tissue grafting, please ask our Periodontal Team.